The General Assembly on Friday morning (8 June) electedÂ VukÂ JeremiÄ‡, the Minister of Foreign Affairs of Serbia, as President of its sixty-seventh session, voting by secret ballot for the first time in more than 20Â years. The meetingÂ also marked the electionÂ of Vice-Presidents fromÂ theÂ different regionsÂ of the world forÂ the 67thÂ sessionÂ of the General Assembly. Afghanistan was elected as one of the five Vice- presidents from Asia Group.Â H. E.Â ZahirÂ TaninÂ will represent the country in this position. Â Previously, AmbassadorÂ Tanin servedÂ as a Vice-President of the 63rd and 65thÂ Sessions of the General Assembly. The Vice-Presidents for the sixty-seventh session are:Â Afghanistan, Algeria, Angola, Bangladesh, China, Congo, France, Ghana, Honduras, Israel, Lebanon, Nepal, Netherlands, Palau, Peru, Russian Federation, Sierra Leone, Trinidad & Tobago, United Kingdom,Â theÂ United States. The President informed delegates that the election of an additional vice president from among the African States would take place at a later date. 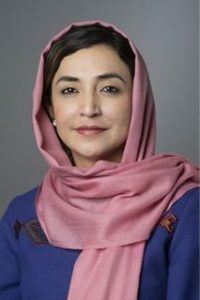 For Afghanistan, this is a significant achievement to serveÂ as Vice-President of theÂ United Nations General Assembly forÂ the 3rdÂ timeÂ in the last five years. Â TheÂ PermanentÂ Representative ofÂ Afghanistan is also currently serving as ChairÂ of the Inter-Governmental Negotiations on SecurityÂ CouncilÂ Reform inÂ his fourth consecutive General AssemblyÂ session in this role. 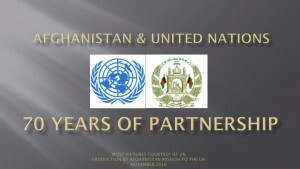 Afghanistan has alreadyÂ presented its candidature to the main body of the Economic and Social Council (ECOSOC) of the United Nations for the terms 2016-2018 andÂ isÂ also a candidate for theÂ President of the 75thÂ session of the General Assembly and aÂ non-permanent member of the United NationsÂ Security Council for the terms of 2021-2022.